This portfolio represents a selection of some of the sites we have built. Please do not hesitate to contact us as we would be pleased to talk to you about other sites we have built and how we can help you achieve something of which we will all be proud. We would love to help you. Why not ask us? 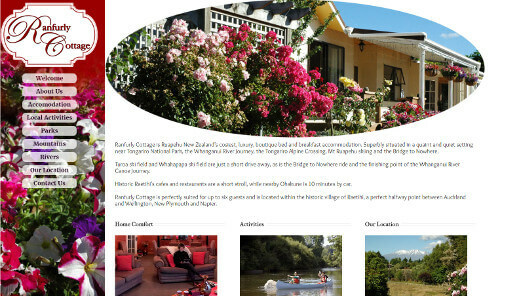 The owners of Ranfurly Cottege wanted a website which reflected both their high standards and showcased the many activities within easy reach of the Cottage. We built the site in WordPress using a customised premium theme and spent some time setting up search engine optimisation to bring customers to their door. 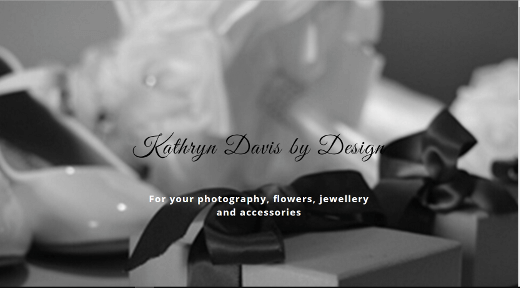 Kathryn Davis wanted a website to showcase her photography, flower and jewellery business. The site was designed and built to reflect her style and showcase some of her work. To achieve this large images are a feature of the key pages and we have put other images into a light box so that viewers can see the full image on their screen. 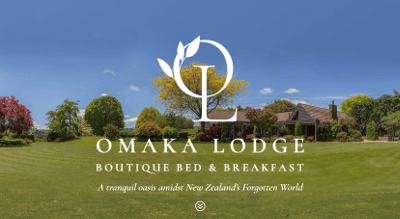 The owners of Omaka Lodge, Scott McPherson and Christopher Riches wanted a website which did justice to the high-end loge accommodation which they had created. We built the site in working interactively with them to implement their ideas and concepts. If you have a few moments we invite you to have a look at this site. 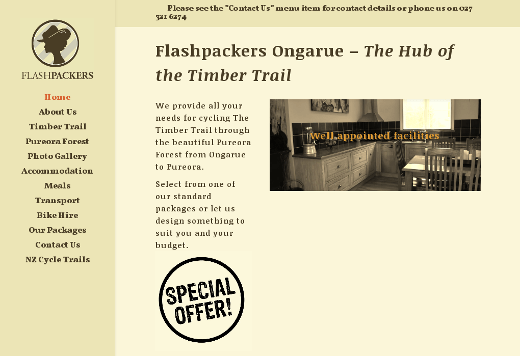 Flashpackers, the Hub of the Timber Trail, is the creation of Rem Rensen who saw the need for a one-stop shop for people who wanted to experience cycling The Timber Trail. The site is fully “responsive” to the range of different viewing devices used these days from smart phones to desktops. 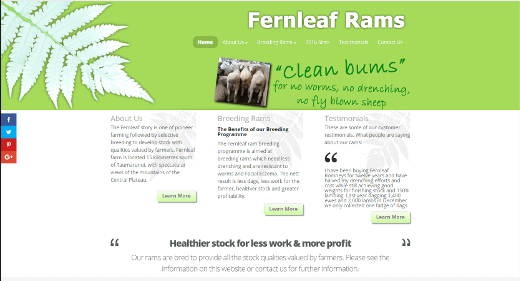 Fernleaf Rams specialises in breeding rams resistant to worms and facial eczema. It was important to emphasise that the characistics of the breed meant less work and more profit for the farmer. The owners wanted a website which primarily was a showcase and source of information. A key factor was having an attractive site which was responsive to whatever size screen the viewers were using. 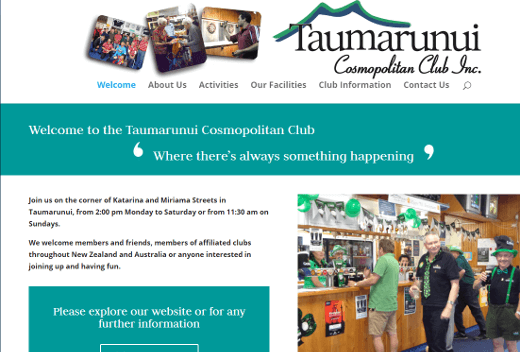 Taumarunui Cosmopolitan Club was looking for a website which showcased all their facilities and activities. The brief sought a fresh modern look to appeal to all age groups. We feel that the results speak for themselves so why not have a look and consider us for your own site. 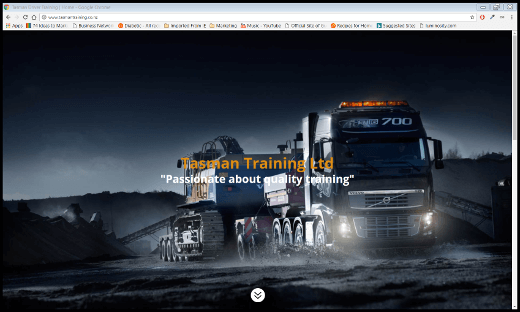 This shows the site of Transtasman Training. The organisation was set up during the boom in the mining industry in Australia and assisted New Zealanders to obtain licences to operate large and specialised machinery in Australia so that they could capitalise on the many employment opportunities that existed at the time. 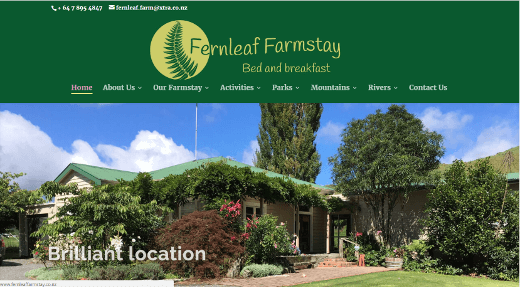 Fernleaf Farmstay is a bed and breakfast operation situated on a working farm at Owhango in the Ruapehu District. Carolyn and Melvin Forlong offer a quality experience and wanted a website to show everything that they and and the surrounding area offer. It is a a relatively large website full of interesting information. 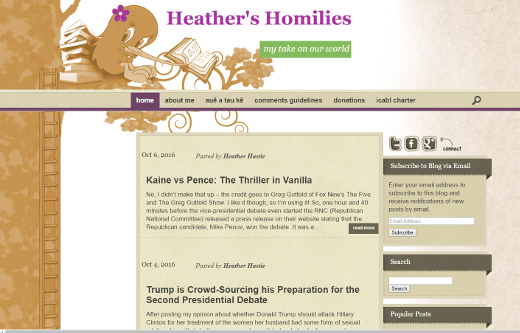 Heather Hastie wanted a site for a blog. Heather had clear ideas about what she wanted and we built her a site which reflected the design elements she wanted. The blog has been hugely successful and Heather has lots of followers. Country View Cottage in a nice tidy bed and breakfast accommodation operated by Ken Burns in Taumarunui. Ken wanted a site which was distinctive and colourful to showcase what he offers. The end result is an interesting site that is different from the norm and well worth visiting.